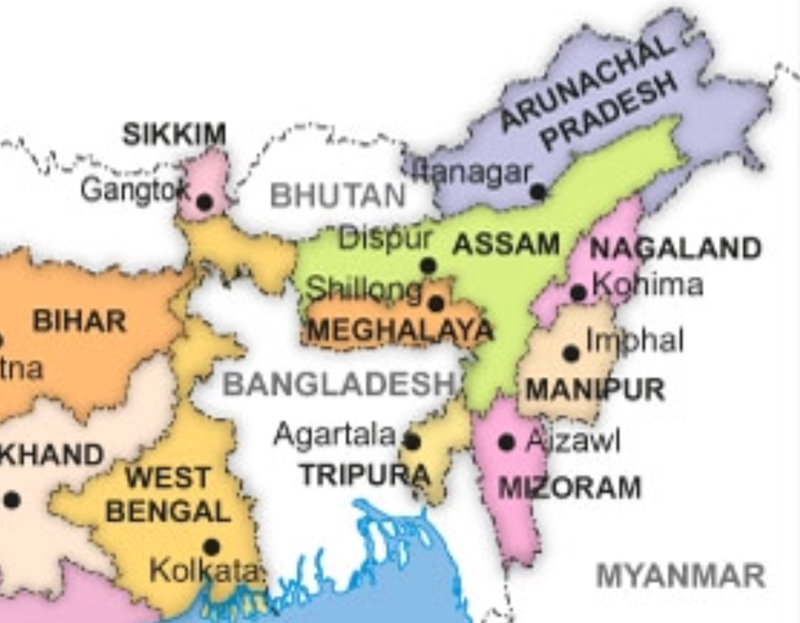 Bhutan shares its borders with which among the following Indian states? In which of the following ways did the British attempt to put down the rebellion of 1857? Turkey’s “Olive Branch” operation was launched on 20 January to drive the Kurdish YPG militia out of Afrin (Syria). Researchers found more than 60,000 hidden Maya ruins in Guatemala in a major archaeological breakthrough recently. Which among the following technologies was used to make this discovery? Remote sensors collect data by detecting the energy that is reflected from Earth. These sensors can be on satellites or mounted on aircraft (or on ships in the case of Sonar). Lidar bounces a laser pulse (NOT radio wave) off a target and then measures the time (and distance) each pulse traveled. Those measurements reveal the relative heights of features on the ground struck by the laser pulses. These pulses can penetrate forest cover to record the shape of the ground below. That makes this technology especially valuable for mapping. Udayagiri has 20 caves built during the Gupta period (300-550 CE). This site has iconography related to Vaishnavism, Shaivism and Shaktism (Durga), as well as important inscriptions from the Gupta period. Of all the caves, cave number 5 is the most famous with its colossal and iconic Varaha sculpture which represents the story of the rescue of Bhudevi (Earth). Previous story Insights MINDMAPS: “Highlights of Union Budget 2018-2019”.